It’s nice to spend time with these characters again and to catch up with them ten years after the conclusion of The Long Earth. This sequel expands our knowledge of the Long Earth, spending more time exploring the Joker worlds. It introduces a few new characters and some very interesting new species for us to contend with. It answers some of the questions about the nature of the Long Earth raised in the wake of the first book and teases some new ones. The greatest strength of The Long War is its central conflict. This work examines how human beings react to and treat the non-human humanoids we encounter in the Long Earth. The premise is uncomfortably realistic and critical. As an exploration of politics and human nature, this book hits even closer to home than the first one. For all its strengths, though, The Long War doesn’t excite me as thoroughly as The Long Earth does. It’s unavoidable that a sequel can’t replicate the same sense of discovery as the first book in the series, but even accounting for that this story just isn’t as interesting. The characters seem to have lost their sense of wonder, which means the reader loses it, too. Perhaps it would be unrealistic for these people to retain wondrousness for their world after ten years of living in it, but the loss is a sad one. I suspect that’s the point but it still makes the story less engaging. Much of my disappointment with this novel stems from its title—The Long War. With a title like that, I expect it to be a war story (I’m a sucker for a good war story). But there’s no war in this book. There’s the possibility of war, the threat of war, a build-up toward war… But war never actually breaks out. This apparent contradiction between the title and the plot is intentional and it gets explained at the end. The authors use it to posit a very interesting possibility about one way that the Long Earth affects humanity. But up until that point, I find myself increasingly confounded that there’s no war in a book that says it’s about a war. This confusion colors my entire experience of the novel. One of the plot lines is completely unnecessary, as far as I can see. It’s a narrative thread that adds to the milieu of the Long Earth, and I suspect that some of the characters introduced in this part of the story will become more important in subsequent books, but it has no discernible effect on the rest of plot. It’s disconnected from the main conflict of the story. You could remove this thread from the narrative entirely and it wouldn’t change anything. I’m confident that the reasons for its inclusion will become apparent in the next books in the series. But its irrelevance to this novel is a point of failure. 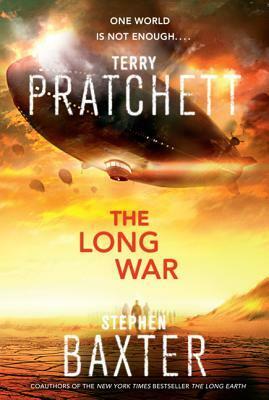 The Long War is another good science fiction novel from two extremely talented writers, who obviously love developing and exploring this world. It’s good enough that it leaves me excited to discover what will happen next. But it’s not as good as its predecessor.